Dr. Burt has been serving as the Associate Vice President Research & International in the Office of the Vice President Research & International at the University of British Columbia (UBC) since 2011 and is also the Angiotech Professor of Drug Delivery in the Faculty of Pharmaceutical Sciences at UBC. She was born in Manchester, England and obtained her B. Pharm. (Hons) from the University of Bath and her Ph.D in Pharmaceutics from UBC. Her major research efforts involve the development of polymer-based drug delivery systems, in particular micro- and nanoparticulates, for controlled and localized drug delivery. Dr. Burt has published over 150 peer-reviewed papers and 8 patents. 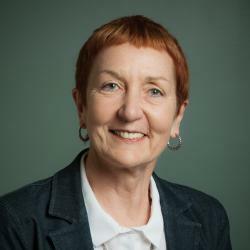 She is also a founding scientist in the Centre for Drug Research and Development (CDRD), a member of the Canadian Academy of Health Sciences and has served on the Board of Directors of the Provincial Health Services Authority.